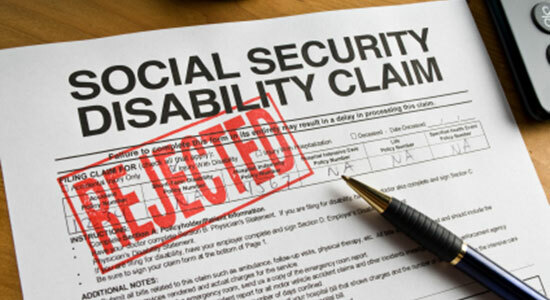 Were Your Social Security Disability Benefits Terminated? If you were approved for SSD benefits due to a mental health condition or physical disability, it's considered a lifelong benefit. Usually, the Social Security Administration (SSA) won't terminate your benefits. If the SSA terminated your SSD benefits and these examples don't pertain to you, you're probably angry and frustrated. You depended on the benefits for your livelihood, and they were taken away. Many times the SSA will review your case – to see if you still have a disabling condition, are still undergoing treatment, and are following the guidelines of that treatment. If the SSA reviews your case and determines that your condition has improved, the SSA may terminate your benefits. If you are "expected" to improve, the SSA normally will review your case within 6 to 18 months. If you are "possibly" going to improve, the SSA normally will review your case after 3 years. If you are "not expected" to improve, the SSA normally will review your case after 7 years. In addition to working or going to school full-time, or earning over $1,000 gross per month, the SSA will likely terminate your benefits if you go to jail or are institutionalized against your will for over 30 days. If your benefits were terminated and you feel that you should still qualify for SSD benefits, you have the right to file an appeal. Time is critical. You only have 60 days to file your appeal. It's a good idea to talk with an attorney if your SSD benefits are terminated. The system can be very complicated, and consulting a lawyer could mean the difference between getting your SSD benefits back or not.